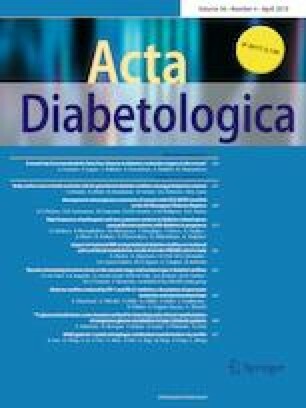 A round trip from nonalcoholic fatty liver disease to diabetes: molecular targets to the rescue? Evidence suggests a close relationship between nonalcoholic fatty liver disease (NAFLD) and type two diabetes (T2D). On the grounds of prevalence of disease, both conditions account for a significant financial cost for health care systems and individuals. Aim of this review article is to explore the epidemiological basis and the putative molecular mechanisms underlying the association of NAFLD with T2D. Epidemiological studies have shown that NAFLD is associated to the development of incident T2D and either reversal or improvement of NAFLD will result into decreased risk of developing incident T2D. On the other side of the coin data have shown that T2D will worsen the course of NAFLD doubling the risk of disease progression (i.e. evolution from simple steatosis to advanced fibrosis, cirrhosis, hepatocellular carcinoma, liver transplant and death). Conversely, NAFLD will contribute to metabolic decompensation of T2D. The pathogenesis of T2D in NAFLD patients may be mediated by several hepatokines impairing metabolic control. Among these, Fetuin-B, which causes glucose intolerance and is increased in patients with T2D and NAFLD with fibrosis is one of the most promising. T2D may affect the progression of NAFLD by acting at different levels of the pathogenic cascade involving gut microbiota and expanded, inflamed, dysfunctional adipose tissue. In conclusion, T2D and NAFLD are mutually, closely and bi-directionally associated. An improved understanding of molecular pathogenesis underlying this bi-directional association may allow us to be able to prevent the development of T2D by halting the progression of NAFLD. Simonetta Lugari, Stefano Ballestri and Fabio Nascimbeni contributed equally.